This merger has brought together the largest TV distributor (outside of the US studios) and the most awarded producer in the UK, with a mission to inspire audiences in the UK and around the world with bold, British creativity. 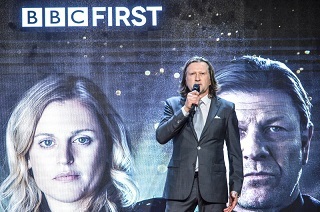 With British drama enjoying widespread international acclaim and scooping top industry awards, in Poland, BBC Studios delivered on this aim by launching BBC First, a premium British drama channel in October 2018. The channel (rebranded from BBC HD) is home to the best original and innovative British drama, available to local audiences with full English and Polish subtitles. 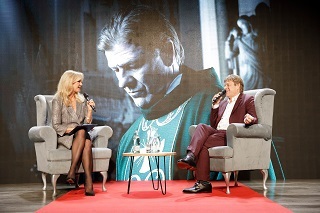 The channel launched with a schedule packed with award-winning and critically acclaimed programmes such as Sherlock, Doctor Who and BAFTA-award-winning Broken starring Sean Bean (Game of Thrones, Lord of the Rings) who came to Poland to support the launch of the channel. The channel is quickly gaining a loyal audience in Poland with the Doctor Who New Year’s Special, which aired only 90 minutes after the UK premiere, exceeded the prime-time slot average by over 300%. As well as operating a branded services business, BBC Studios also partners with international broadcasters and platforms to bring British content to the widest possible audience. A local example of this in action was BBC Studios’ partnership with TVP who launched their subscription video on-demand (SVOD service) last year enabling their audiences access to 150 hours per month? of BBC content including some of the best natural history programming (Spy in the Wild, Wild Mexico, Wild Thailand) as well comedies including Love Nina with Helen Bonham Carter and many more. BBC Studios Poland began 2019 in Poland with a fresh and vibrant new look for BBC Lifestyle to match channel’s aspirational and entertaining lifestyle content, including big cooking franchises with famous chefs, inspirational home and design programmes and entertainment formats. The brand makeover launched on 1 January. 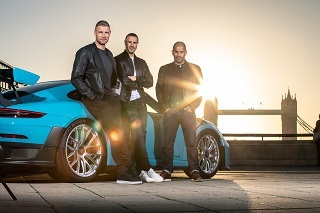 2019 looks set to bring a raft of stellar television programming from BBC Studios to Polish audiences with highlights including One Planet: Seven Worlds from the internationally renowned BBC Studios Natural History Unit, science landmark The Planets which premieres around the 50th anniversary of Moon landing, and new series of Top Gear with a fresh presenting line-up of Paddy McGuinness, Andrew Flintoff and Chris Harris.